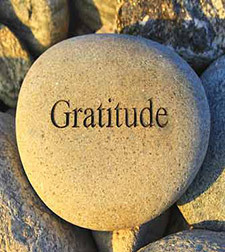 Did you know that having an “attitude of gratitude” is one of the most effective ways to dramatically improve all aspects of your life? In fact, its scientifically proven! Practicing gratitude involves being thankful for the little things, seeing all that happens in your life as a “miracle”, and always being aware of the abundance in your life. By redirecting the focus of your thoughts from what you dont have to what you do have, powerful vibrations are sent out to the universe, increasing the things in your life for which you are thankful. The result? Better relationships, better health, less stress, more happiness, & an overall increased quality of life. 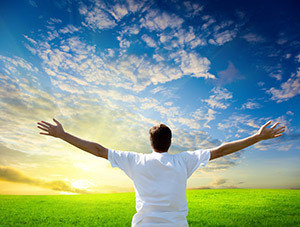 What is the secret to maximizing gratitude? Meditation. In order to quickly harness the power of gratitude, you must reform your thoughts, which must be done from the root: the subconscious layers of your mind. Once meditation melts all of the layers of worry, anxiety, depression, and fear clogging up your thought processes, your newfound mind-mastery, with crystal clear thinking makes gratitude super easy. In addition, what better way to contemplate the things for which you are thankful than in meditation!